Around the turn of the century, a new buzzword began to circulate among experts in the fitness and sports industry–“Core” was the buzzword and a new revolution was born in sports and fitness training. Article after article appeared in journals and magazines touting the core as the area we need to focus on the most to lead healthier, “pain-free” lives. The media picked up on the buzzword. With so much exposure, just about every issue or injury from low back pain to poor sports performance, which we had previously attributed to other issues, were now believed to be miraculously cured by targeting the core. In the 1990’s, the industry claimed low back pain was primarily affected by the hamstrings. Today, the industry and the media blame back pain and everything else on a weak core. This was and is 100% incorrect. Back pain can be caused by any one of hundreds functional issues. Experts in sports training, fitness, and even physical medicine (yes this includes highly respected doctors) also blamed many injuries and poor sports performances on poor core strength. With so much exposure and demand for improvement, every “fitness and medical expert” began creating exercises and programs targeting the core. The physical ailments and sports performances people seek to improve are also affected by many factors including learned behaviors or techniques which create imbalances (but that’s another post all to itself). It is my belief that because the hundreds of thousands of professionals who work with people on their sports, fitness, and health goals placed too much emphasis on this one particular area of the body, we are now seeing the results of the failure of the industry to properly educate consumers on how to truly balance their bodies and lead a healthy lifestyle. Many experts, and as a result, fitness seekers and athletes all around the world have over done it with “core training”. It was believed by some “so-called experts” that almost every problem in the body stemmed from weak core muscles. And according to those experts, if you could just strengthen your core all your problems would be solved and fitness goals attained. Well… I call BS!. And over the next 1,000 words or so, I intend to explain why. 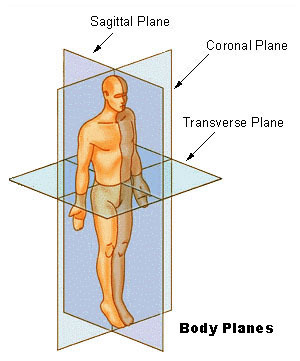 The body is divided into three planes. Sagittal, Coronal, and Transverse. The “core muscles” and what it takes to train them has begun to cause an epidemic that needs to be undone. Why is it that while the industry has focused on the “core”, the number of people suffering from back pain around the world has increased. In addition, we have seen a rise in other “core related” injuries? The “core muscles” have been incorrectly identified by the average person. In fact, I’ve searched the web, and most experts define the core as the abdominal and lower back muscles. Most people believe the core can be trained by performance exercises on a stability ball; adding resistance to abdominal exercises; and by performing numerous other activities we now call functional training. In truth, the core muscles are made up of all the muscles which meet in the center of the body’s planes. In reality, the best way to define the “core muscles is “all muscles which affect the position of the pelvis”. This includes muscles originating and inserting at the pelvis and all of those muscles which affect pelvis position. This also includes some muscles of the lower body which are neglected when “training the core”. The pelvis moves in multiple directions and is essentially the first indicator of true stability (which is what we are trying to accomplish with “core training”). Now keep in mind, pelvis movements can be and are affected by movements of all the segments and muscles around it. This means, the core is affected by both feet, both legs, the spine, and the arms (because the arms are attached to the spine via the trunk). The ideal pelvis forward tilt is 7 and 10 degrees in men and women. some experts would say that a desirable forward pelvic tilt is 0-5 degrees in men and 7-10 degrees in women. Those are desired averages, but we are not striving for average, we should be working towards ideal. Based upon my research of thousands of people from all walks of life, the actual average is greater than 17-20 degrees of forward pelvic tilt. This is more than twice the ideal. And the majority of participants in my research are athletes who supposedly have the best fitness levels and training. 1) Any muscle when focused on as the muscle group to target can be OVER-trained and as a result, OVER developed. 3) Compensation injuries can occur as a result of over-training or over emphasizing any muscle group. In truth the core is the center of the body where forces cross the mid-point of the body splitting the into multiple planes. For simplicity, the body is split into halves from upper body to lower body (Transverse plane); Front side to back side (Coronal Plane); and left side to right side (Sagittal plane). In order for the body to become balanced, exercises must target all areas of the planes in some cases through multi-planar exercises (Functional and rotational movements in all directions). The X-Plane divides the body diagonally from left hand to right foot and from right hand to left foot. One aspect of multi-planar training that is rarely taken into consideration is the fact that in an effort to seek balance, those planes are affected by work that is done diagonally from left to right and right to left, from upper body to lower body. What does that mean? 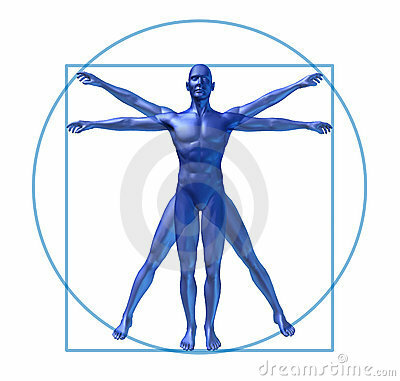 The body is divided into the three (but really four) planes. However, the left arm does its job in conjunction with the right leg. The right arm, works with the left leg. So the new, “X-Plane” has to be trained as well. A muscle is over trained and over developed when it is targeted more than its opposing muscle group (in all planes). If I only work on my right bicep and not my left, its obvious that my right arm would be stronger, more dense, and heavier than my left when doing activities that require both arms. If we spend time isolating the low back and abdominal (which the average person defines as the core), we end up with abs/low back that are significantly stronger than our feet, lower leg muscles, glutes, hamstrings, possibly even quads. As a result, instead of strengthening the body’s ability to transfer energy and have support from the “core” to perform functional movements, we are actually weakening, the core and its ability to perform true functional movements. What is an indicator that the core has been over-trained or improperly trained? That’s the easy part. We will see people suffer more injuries to hamstrings, the groin, chronic low back pain, and a the presence of a severely forward tilted pelvis (anterior pelvic tilt). This negative pelvis posture can lead to an increase in ACL/meniscus knee injuries, plantar fascia injuries, patella tendonitis, groin pulls, hamstring strains, shoulder injuries, low back/spine injuries and pain, abdominal strains, neck pain/discomfort leading to surgeries of the cervical spine, and hundreds of other physical issues. So let’s stop isolating the core and begin to work on developing balance in the body, in all planes, not just at the “core”. Fitness should be achieved by working to develop the entire body…From the Ground Up! In future writings, I will address some key exercises, which if done properly will provide more true benefit to the “core” than the road the industry is currently taking to a healthy core. Follow Zig Ziegler, the Sports Kinesiologist on Twitter @zigsports. 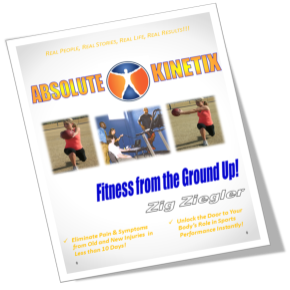 Zig is the author of he soon to be released book, Absolute Kinetix: Fitness From the Ground Up. ← Derrick Rose Update: Career in Jeopardy…Why Rose will never be the same! This is an interesting look at some of the myths behind core training. It takes a combination of muscle groups, not just your core. The back is just as important as a good core. Very Informative article. Enjoy reading your posts. Very informative. I was wondering if you could provide me with some advice. While attempting one legged squats, I’m unable to keep my right foot still and pointing forward. I find that it turns out (toes facing away, heel in), as soon as i shift my weight on it, and start to make my move. The other foot remains straight. Overall, my right leg feels functionally short and i have trouble with my opposite shoulder (i know they work together and are basically doing the same thing). I’m slowly making some progress, but haven’t been able to get everything to click without consciously thinking about it. Any general advice or “keys” to solving this? Thank you , in advance. Thanks for your question. What you describe indicates improper weight distribution in your foot which is affected by overall strength on your right leg. What you describe as feeling functionally short is probably (yes this is a rare guess) related to excessive internal rotation of your right leg at the hip and weaknesses on the lateral aspect of your right foot. I might suggest walking side lunges to the right (only the right not the left). Be sure to make sure you take the right leg to full hip extension while performing the side lunge and careful not to cheat by adding pushoff from the left leg. As for weight distribution, keep the weight behind the ball of the foot not in the heel. This will help with foot stabilization. I forgot to add, I’ve never had any significant injuries on that leg, except for a 2nd degree ankle sprain about 2 years ago. I’m not sure it caused this, but at the very least, it made it worse. tl;dr … exercises to help full body balance: snatches / cleans. fin. As an ATC I’m always looking for a great continuing education course. Do you have any recommendations to help me understand what you speak of? I strongly believe in what you speak of. Its a great pleasure to applaud your interest in putting forth the idea that core stability training is a myth. In having the guts to even question the idea, earns my respect quite quickly. In addition, I’d put forward in your assessment that you missed the two most important factors as argument to expose the underlying farce science used to promote it. At first glance, is that for anyone going into a gym to lose weight with the goal to fit into a swimsuit for a cruise, then core stability is fine for including into a gym training program. However, if you’re an athlete seeking to improve your abilities to maximum performance, then in reality you should be heading to the hills than follow any trainer who believes in core stability mythology. What you overlooked is the complete picture in function of the core and why the idea alone of stability training is the last thing any competitive athlete would want to invest their time to develop. First reality of the so called “core structure”, which is the skeletal system of the hip structure, is the missing focus towards arguing against core stability training. The muscles facilitate that movement, so better understanding the biomechanic function of the hip would offer a more complete picture of the training myth. The biomechanic function of the hip is a complexity few comprehend. No two humans look the same, walk the same, or run the same. So with individually unique biomechanic processes to run as humans, the hip has to be incredibly fexible. One of the overlooked aspects is that the hip is by function a transmission of energy between the parallel leg swing and the upper body function through a counterbalance arm swing function as we walk run or move. Its biomechanic importance is how well upper and lower body movement are sychronized. The fluidity of its natural function is vital given its middleman role in movement. Altering through training the muscles surrounding your hips, with absolutely no concept of why, is interfering with the natural function of both your arms and legs. How could that not put athletes at greater risk for injury. So by altering the natural hip function through misunderstood functional role of the hips in the first place, does no athlete any real good. Improper training of said muscles, will do more to slow you down through interference of its biomechanic function toward energy tranfer between the arms and legs. That fact alone is reason for any student of athletic function to stay away from any trainer who lacks the insight to see through the “trainer to the stars” mentality for core training. Most important to me is the underlying philosopy being promoted. Its not the core, but the stability component few athletes comprehend. Its the question of balance. If you look up the dictionary definition of stable; its defined as unmoving, constant, and resistant to change. However, as an athlete isn’t it your goal to be as maneuverable as possible? So why would you train to not move? How would that fact not increase one’s injury risks. If you train your body to not move simply means that your reaction skills will be slowed down because it will require generation of greater muscular force to overcome that stability resistance. Stability is a requirement for jobs, relationships, or schools for our children. In no way is it rational for the elite level athlete to even consider following the training model.